The 'Sunbeam Owners Fellowship' was started in 1962. 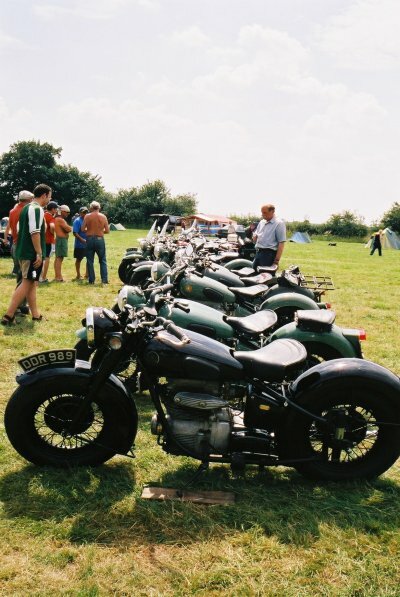 Its aim is to keep owners of Sunbeam S7 and S8 motorcycles in touch with each other, to offer friendship, and if the need arises......help. As an organisation, it does not offer a great deal - no weekly meetings, no sports or other participating movements. It is intended to be run as a FELLOWSHIP. 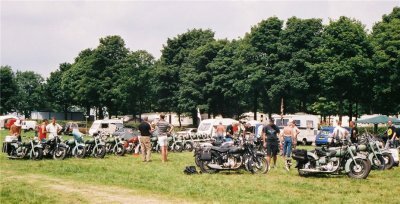 Most Sunbeam owners are not 'club' men, nor active motorcycle sports types, they tend to use their Sunbeams for pleasure riding, rallies and perhaps holidays. Sunbeams are widely scattered and there are rarely more than one or two in any area, and none at all in some areas! Organised local meetings are not therefore easily arranged. However, there is an annual get-together each year. It takes the form of a three to four day camping event, normally over the second week-end in July. This means that Sunbeam enthusiasts can meet up with friends old and new and enjoy that special atmosphere that is always evident whenever Sunbeam owners gather. Details of this and other events are published in the bi-monthly Fellowship magazine. In the main, members are kept in touch by the magazine 'On The Beam'. This is published every two months and contains interesting letters from fellow members, technical tips, diary dates, adverts, and much more. The Fellowship, being low key, is run very much on a volunteer basis by a dedicated few so be tolerant if things don't happen immediately or the magazine is a few days late! Finally, remember both the Fellowship and the magazine will only continue to thrive with the support of its membership. So make sure you not only join but that you also put pen to paper and send in an article about your 'Beam, motorcycling in general, or indeed anything that may be of interest to fellow members, for publication in the magazine - it doesn't even have to be about Sunbeams! A very warm welcome awaits you when you become part of this truly worldwide band of Sunbeam enthusiasts.